The STORM team is at the frontline of Spin Master’s business. Members know what’s selling well, what’s not, in the stores, and can make recommendations back to management via the AFS Retail Execution solution on what to switch out and where a store manager can place hotter products. What the store-level force is particularly good at, says Balkaran, is determining what products do and don’t appeal to consumers in a particular part of the country and giving slower starters a boost. For example, the STORM team in the South West was quick to point out that the company’s Air Hogs Zero Gravity R/C vehicles that can climb walls and ceilings would be unlikely to sell well in the region because houses in that part of the US are largely covered with stucco, and Zero Gravity is not particularly good at traversing stucco walls. AFS Retail Execution solutions let the rep enter this information on the handheld device and request another Air Hogs product to promote, and presto, the information goes to Spin Master’s corporate team, which can made an immediate decision to offer an alternative toy and save potential sales losses. Store-level merchandising is not new for toy manufacturers, but Spin Master’s practice of using dedicated employees versus contract workers is different. In fact, what this sense of belonging has engendered is a culture where individual merchandisers are eager to absorb all the info they can about Spin Master’s product lines—how kids play with the toys and national marketing efforts coming down the pipe—and then serve as a resource to local and area store managers. To keep interest up, the company has started holding an annual Merchandising Olympics where it brings STORM members together to test out new toy lines. It sounds like just fun and games, but Balkaran believes that the money and resources allocated into STORM are well worth it. The company has actually quadrupled the size of the division in the last year and intends to hire more merchandisers, further widening coverage and proving the success of the Mobile project. In addition to giving STORM team members the ability to receive call plans on their devices and download product and customer information (including sales history, promotions and call objectives), AFS Retail Execution solutions provide the ability to take pictures of in-store displays and competitive products, send feedback on individual product performance, and even show store managers/buyers the company’s latest commercials along with pictures and packaging- size specs for any item in the company’s inventory. Balkaran says being able to transmit pictures of retail setups from different stores to a buyer, for example, can prove invaluable. In one instance, a STORM member set up a one-off display for some Marshmallow furniture SKUs and flipped the image to another buyer in the area. The buyer tried it out, and it worked so well the concept went chain-wide. “And it all started with one merchandiser’s idea on a handheld device,” muses Balkaran. Increased management visibility to what’s selling/what’s not and the ability to make immediate promotional plan adjustments. Empowered merchandising team for greater confidence and employee moral. Immediate sharing of ideas with other merchandising reps for increased display effectiveness. A multi-category children’s entertainment company since 1994, Spin Master designs, develops, manufactures and markets consumer products and entertainment for children around the world and is best known for such popular brands as Air Hogs, Bakugan, Aquadoodle, Tech Deck, and Moon Sand. 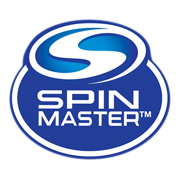 Recipient of the 2008 Toy of the Year Award, and noted as the fastest growing toy company in North America, Spin Master employs over 600 people with offices in Toronto, Los Angeles, Paris, London, Hong Kong and China.